What? 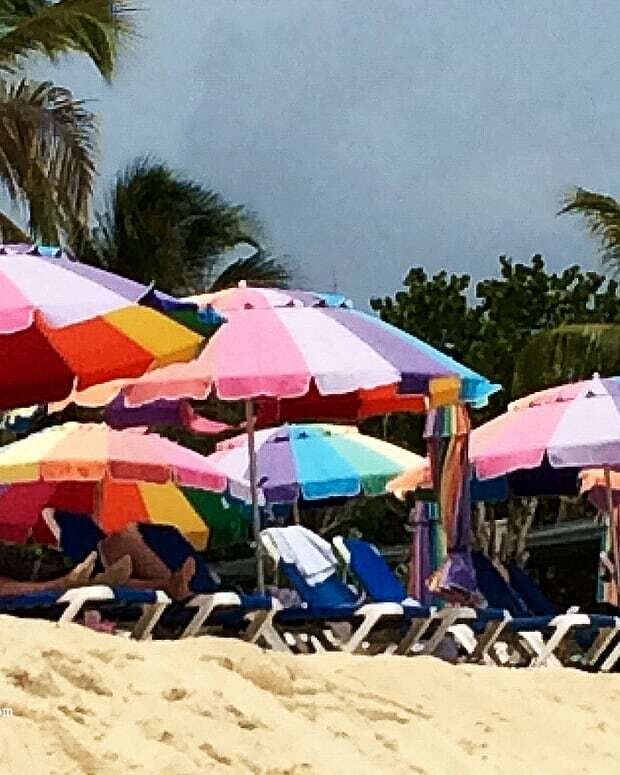 Layer my SPF? As in apply the same formula twice before going out? Yup. In partnership with Ombrelle • It&apos;s Sun Awareness Week and as good a time as any for a confession: To my utter chagrin and dismay, I got a bit of a sunburn a while back. I had applied sunscreen before leaving home via an Uber, and gone straight indoors at my destination. About an hour or so later, my friends and I decided to walk from St. Clair to Eglinton in Toronto. Yes, outside, in the sun, just after 1pm. A 28-minute walk, according to Google Maps. 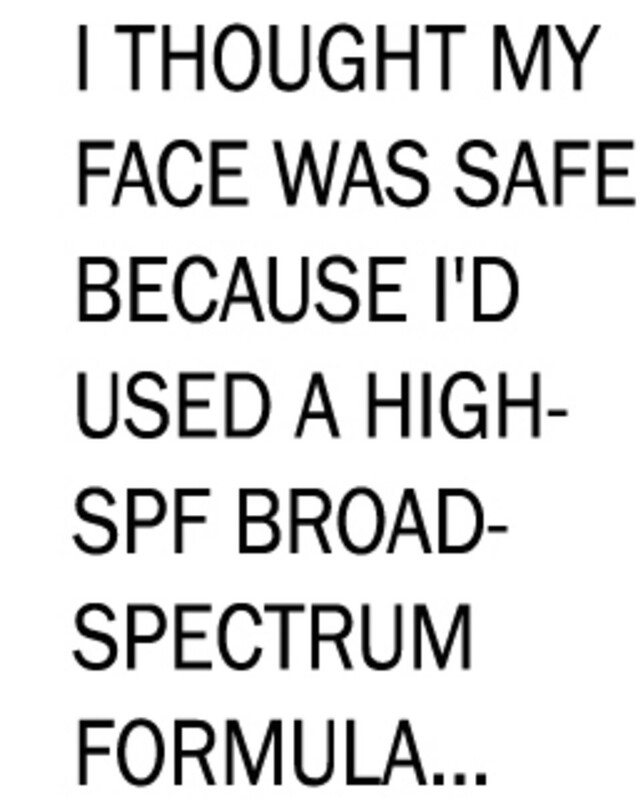 I thought my face was safe because I&apos;d used a high-SPF broad-spectrum formula, and I hadn&apos;t been exposed to direct UV for longer than about half a minute. But later that day, the evidence of my failure mocked me most unkindly in my bathroom mirror. Basically my sweating skin just spat the sunscreen out like a cranky baby at lunchtime. Now I know that I have to give my face some cool-down time before I load up on SPF, or else. In fact, the weekend after this sunscreen-spit-up incident, I decided I&apos;d apply it when I got to where I was going (yup, door-to-door Uber). And you know what? Those two moderate layers felt more comfortable than one generous application. Plus, they made me feel safe. Now I make sure I give myself enough time to cool down at home before I leave, at least so I can get my first layer on. If I don&apos;t, though, I sunscreen up in the back of an Uber, or in a restaurant corner, or in coffee shops... you get the picture. I particularly appreciate the cloudy-day reminder – I know folks who were shocked to find themselves with a bad burn after having skipped sun protection on a grey day. 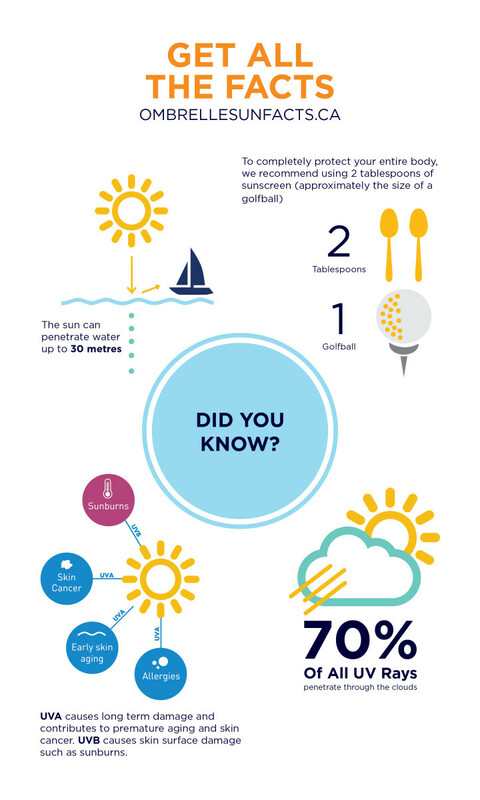 Find more sun facts at ombrellesunfacts.ca. 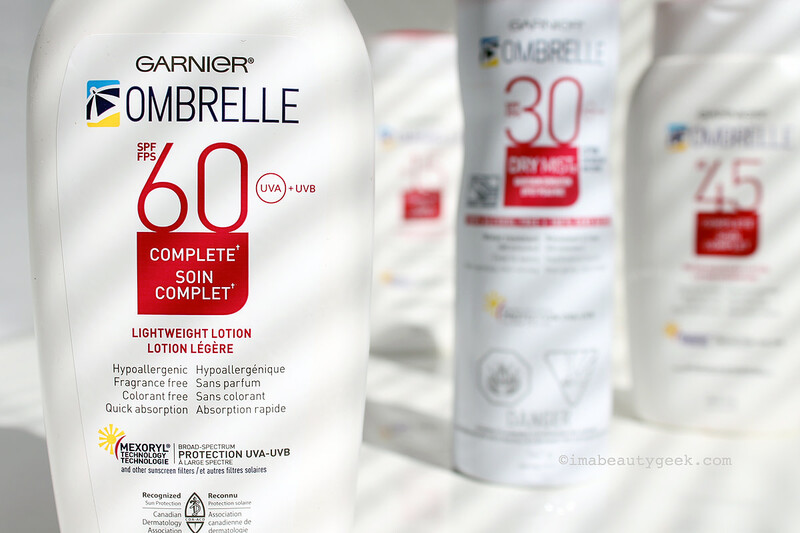 If you don&apos;t know Garnier Ombrelle, worth noting is that Ombrelle is a solid Canadian sunscreen success. L&apos;Oreal bought it in 1997. 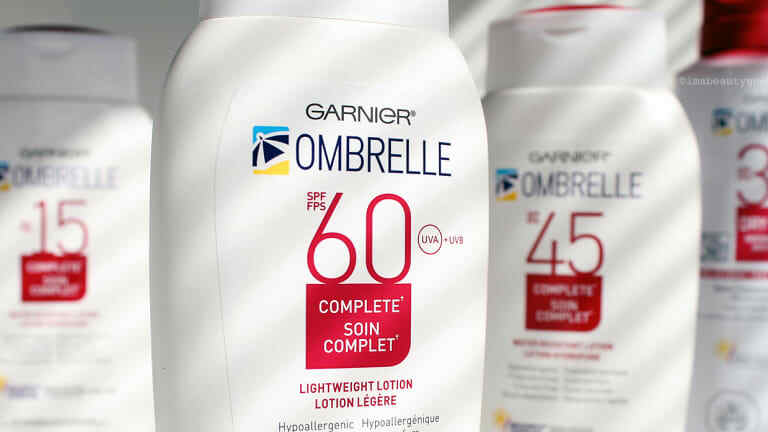 The Garnier Ombrelle Complete collection of broad-spectrum sunscreens range from SPF 15 to SPF 60, and include an SPF 30 and SPF 60 spray. They&apos;re all designed for use on the face as well as body. Garnier Ombrelle Complete Sunscreen is hypoallergenic. Note the circled UVA stamp that indicates these formulas contain the Health-Canada-approved minimum level of UVA filters. I often use a spray on my legs and arms because it&apos;s fast, but I apply it generously. If I were going to be out in direct sun, I&apos;d put a couple of lotion layers on first, then re-up with spray during the day. Or maybe I should do three layers of spray? 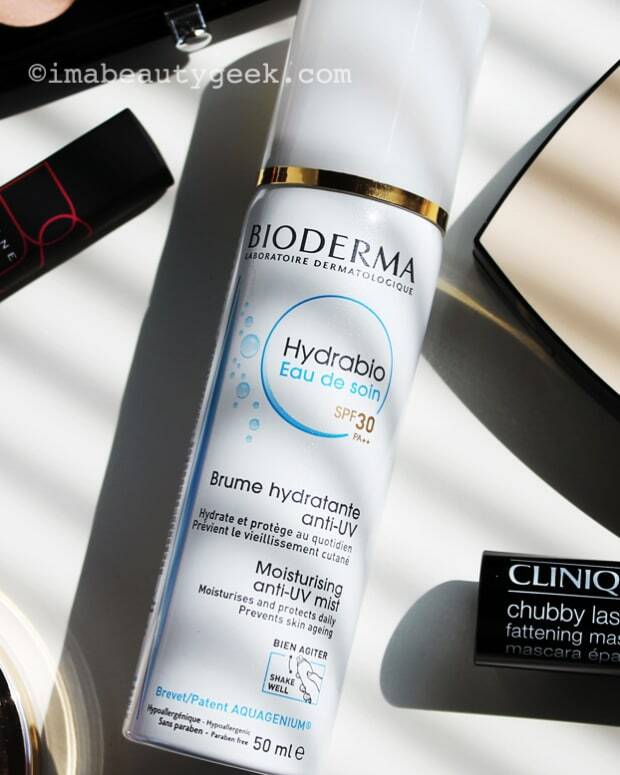 Anyway, when I tried Ombrelle&apos;s SPF 30 Dry Mist Bareskin Sensation – it&apos;s non-comedogenic and alcohol-free, btw – I dispensed enough for it to look a little milky on my skin, then rubbed it in. And it does feel (and look) like bare skin. Like the lotions, it&apos;s also fragrance- and colourant-free. So, what&apos;s your most recent sunscreen oops?